The lucky buyer of this home will be the recipient of a home that has had undeniable care and attention to detail over the past 25 years. 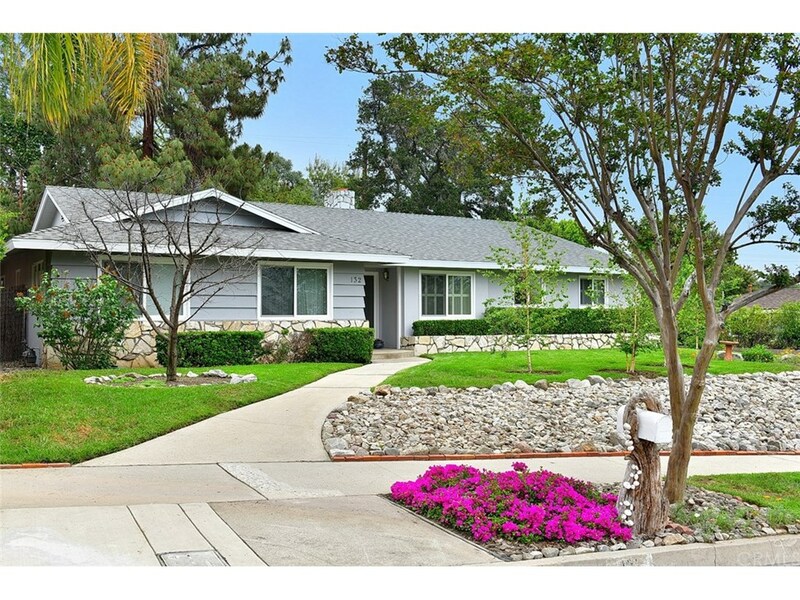 Located in the "Country Club Estates" area of Glendora, it faces west and is a 10 minute walk to Glendora High School. Family will feel welcome in this home when you light a fire in one of the two fireplaces. There are many large windows letting in natural light, most are double-paned. The family room has gorgeous wood beam ceilings and built in wood cabinets, and there is a sliding door here out to the patio. From the family room is the Formal Dining Room and on into the Bonus room which has been used as a study/office but could be bedroom number four. There are high end wood peg floors throughout the house and the bedrooms. The kitchen opens out to the living and family rooms and has updated counter tops, new stove top, and the cabinets have been refinished. The oven has a new coil. The laundry room and a half bath are off the kitchen. To keep you cool there is a whole house fan and AC; these are newer as well as the furnace. There are two water heaters that have been updated so hot water is plentiful! All the bathrooms have some upgrades and new toilets. The driveway is long with extra space and possible RV parking. The yard has sprinklers front and back and there are many fruit trees including avocado, lemon orange, apricot and a tangelo. Yumm! You will love this serene and peaceful setting in Glendora!